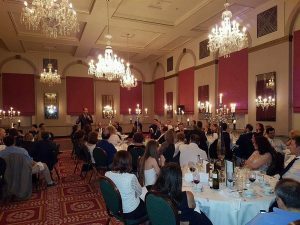 The President and Committee of the Hellenic Medical Society UK cordially invite you to the Society’s 2017 Annual Dinner on Saturday, 17 June 2017. Dr. Charles Foster is a Fellow of Green Templeton College, University of Oxford, and a member of the Oxford Law Faculty. He is also a practicing barrister, specialising in medical law. £75 for tickets purchased by non-members. Discounted ticket price is available for members who have paid their annual subscription for 2017. This applies to those becoming members and pay their annual subscription up to the date of the event.